The reigning champion hopes for another all Scottish podium in the men’s 1500m at the British Championships this weekend. 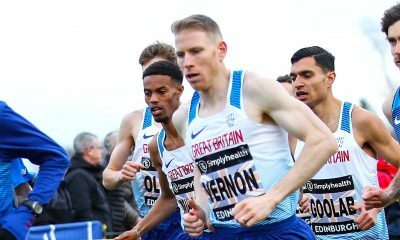 Chris O’Hare says he would “love to see another 1-2-3 for Scots” at the British Championships as the nation’s best descend on Birmingham for two days (June 30 – July 1) of track and field action and battle for places on the European Championships team. Edinburgh AC trio O’Hare, Josh Kerr and Jake Wightman claimed all the medals at the Alexander Stadium last year and were duly selected for the London 2017 World Championships. 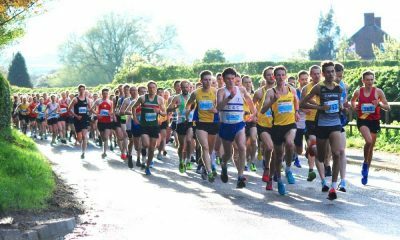 Fellow Scot Neil Gourley was fourth – and only lost out by two hundredths to O’Hare in a specially-arranged 800m ‘warm-up’ at Grangemouth on Sunday. English Olympian Charlie Da’Vall Grice is in better form than a year ago, however, and O’Hare for his part is looking to seal a Berlin slot to help bound back from eighth place at Gold Coast 2018 1500m final, where Wightman took bronze. 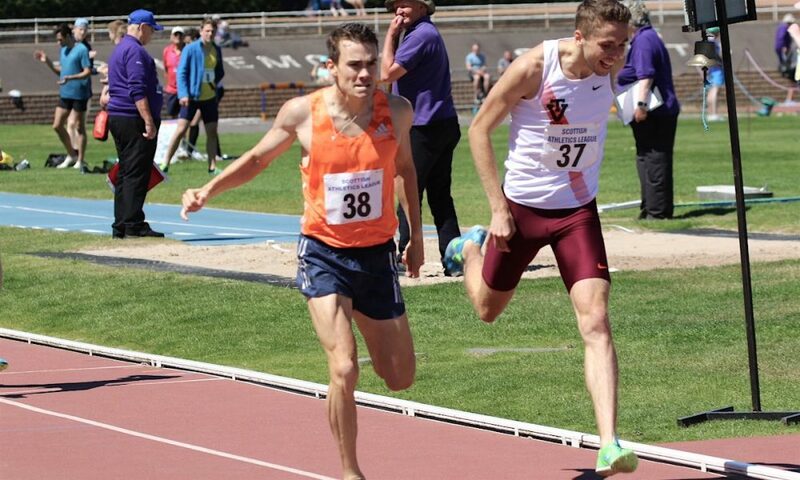 O’Hare clocked 1.48.35 on Sunday at Grangemouth with Gourley at 1.48.37 with two of the quickest 800m times by Scots in in Scotland for a number of years. Meanwhile, Olympian Frank Clement has outlined his admiration for this generation over 1500m by insisting they are the best for four decades. 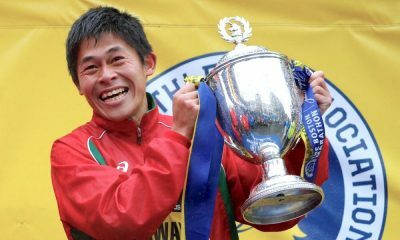 “There’s no doubt at all it is a great era for our men in the 1500m,” says Clement, who was fourth in the 1978 Commonwealths and in the Olympics over 1500m. “To have four or five guys so high in the British rankings reflects well on them as individuals and on the sport. “Josh Kerr has shown great form in America in the past couple of years, Jake Wightman’s double bid at the Commonwealths was very good and Chris O’Hare proved in Oslo a couple of weeks ago he is ready to bounce back again. “I look at what they are doing and feel they are all pushing each other on and getting competitive. 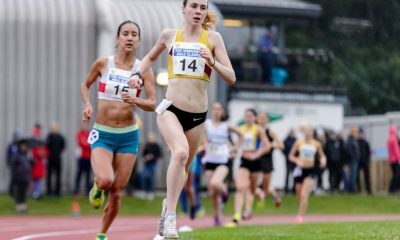 Action from the guest race at Grangemouth on Sunday (June 24) where Chris O’Hare competed in his first race in Scotland for more than three years ahead of this weekend British Championships in Birmingham.